Running through Amesbury, MA is the Powwow River, a 22.8-mile-long waterway flowing through New Hampshire and Massachusetts. 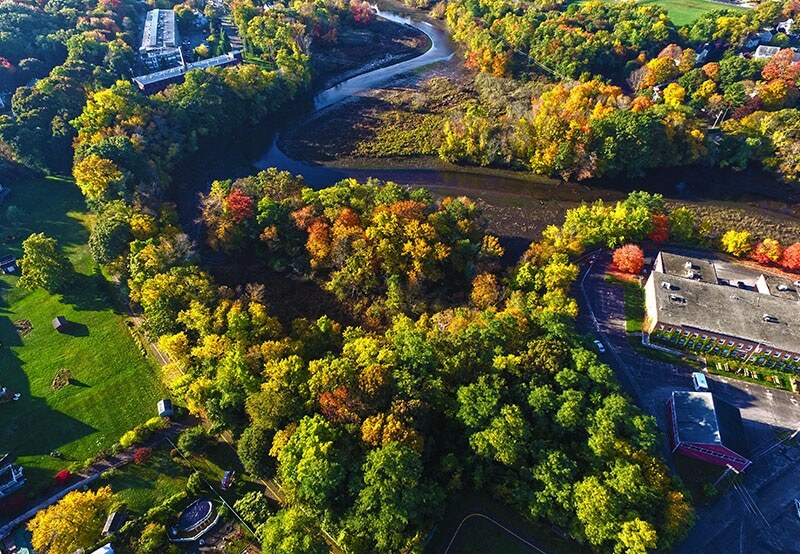 In the late 1800’s through the early 1900’s a stretch of land along the river in Amesbury was home to the Amesbury Manufactured Gas Plant, which extracted gas from coal for energy, and was also later used as a landfill. When operations at the site ceased, thick coal sludge and various metal components were left behind. 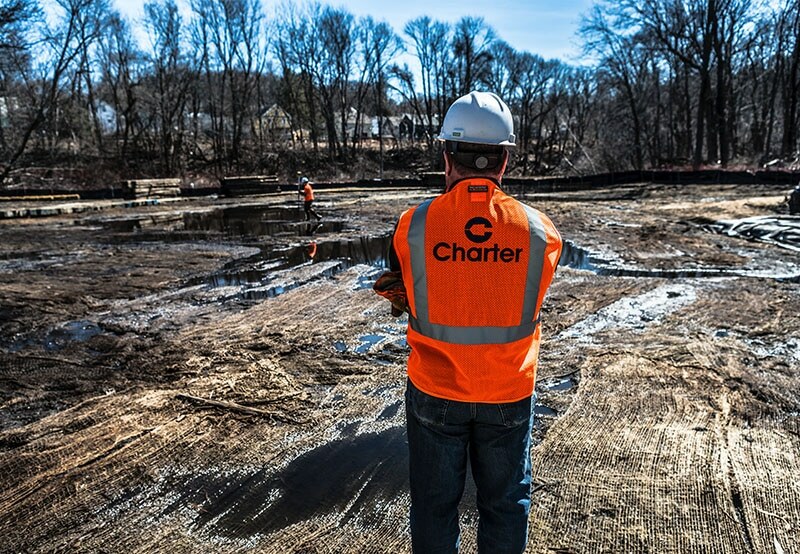 National Grid, after acquiring the land and performing environmental studies, contracted Charter to perform the upland and wetland environmental remediation of the site. To remediate the entire site Charter self-performed all major scopes of work including excavation of wetland and upland soil containing up to 3’ of MGP impacted sediment, excavation of river sediment, soil stabilization prior to offsite disposal, sheeting installation, dewatering and treatment prior to discharge. 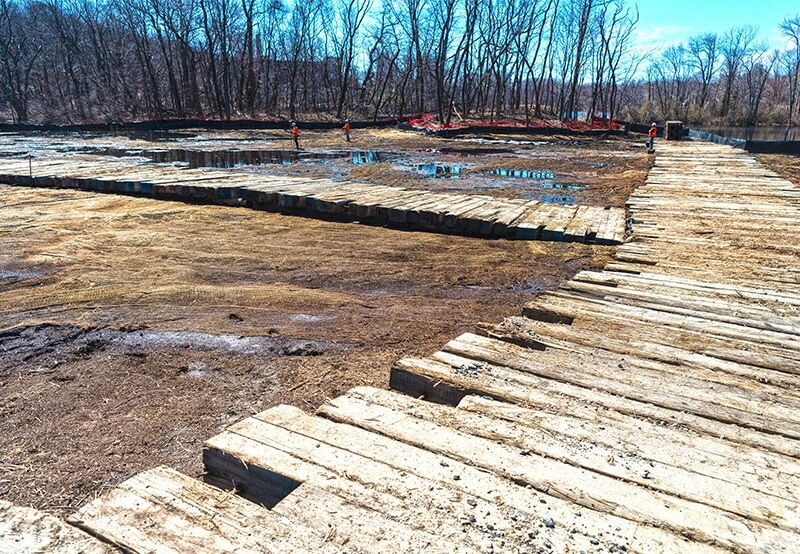 Final restoration of the site involved micro grading of the wetland area, wetland plantings, and placing woody debris across the site. 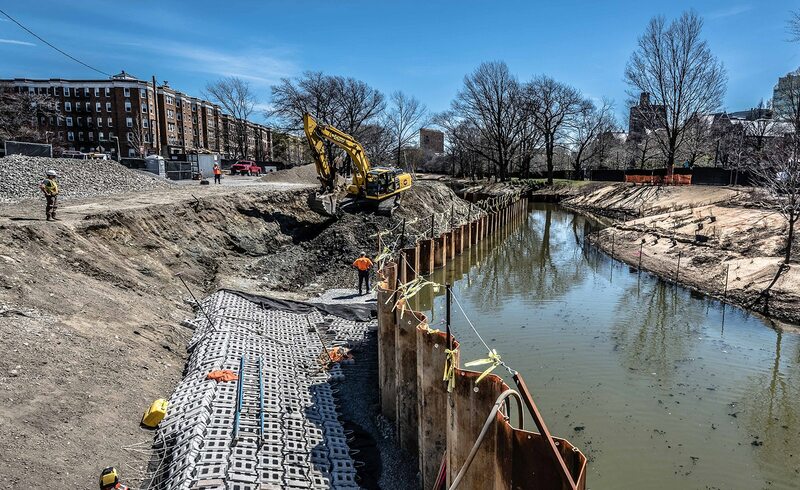 The conditions of the site, which included a tidally influenced river and swamp-like conditions, created logistical challenges that the project team successfully overcame to complete the project on schedule. All work had to be performed on timber mats due to wet site conditions and poor soils. Unique equipment, like a low ground pressure dump truck and tracked dump truck, was used to perform work on the 16’ wide timber mat roadways. The Wetland area was tidally influenced which required working in and around the tides as the above excavation and backfill took place. 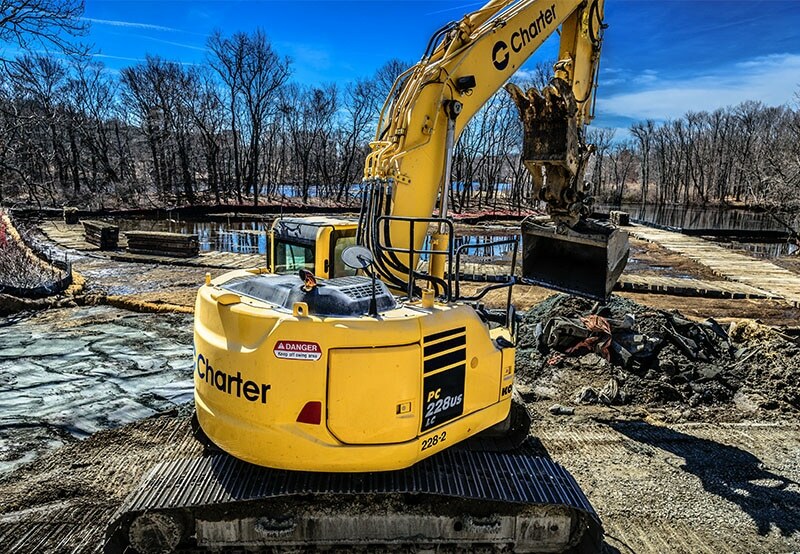 Due to space limitations, on site daily operations, such as excavation, stockpiling, backfill, sampling, and transportation, had to be thoroughly coordinated to meet project deadlines. Impacted soil was stockpiled, dewatered, and amended on site. Once amended, all soil was trucked off site and disposed of at an approved facility. The project permits required all backfilling and stabilization of the disturbed area by the end of each day. Since the Upland area of the site was dry, it was utilized for the staging and soil management area and after construction, was restored to its previous condition. 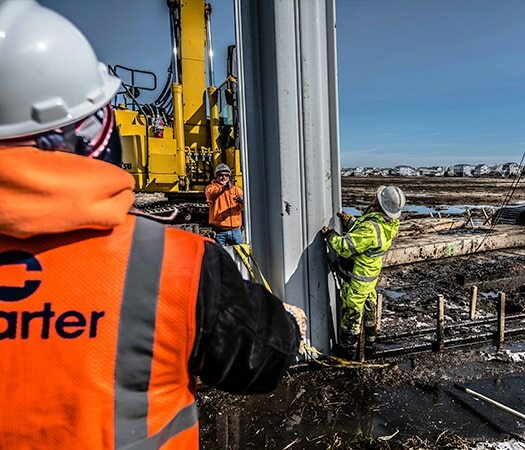 By scheduling activities to accommodate the tide cycle of the river and performing major scopes of work, like excavation, backfilling, and dewatering, in winter months, the project team completed the project safely, efficiently, and on time. 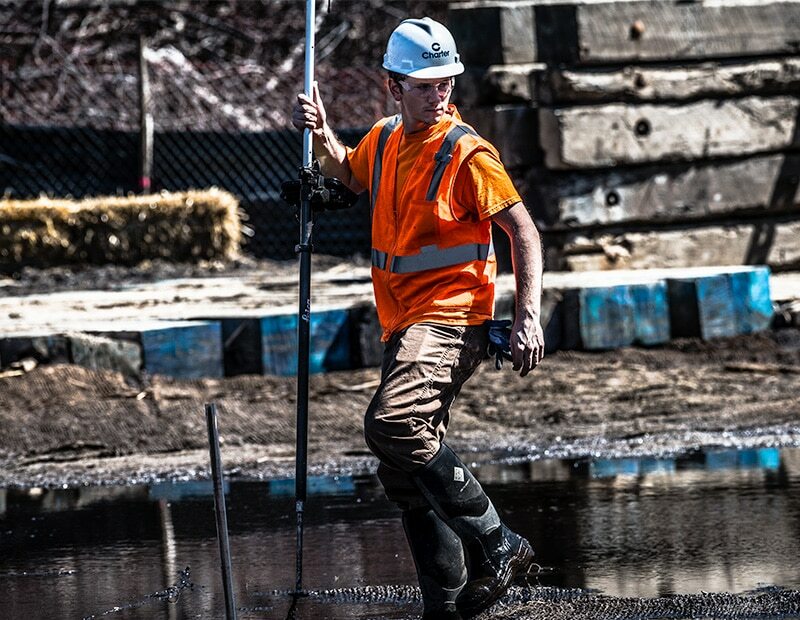 Favorite part of the job: "Working different aspects of the job has helped me feel like I am really learning the operations piece of the environmental remediation field." As a young project engineer, Max has been able to jump right in on projects and learn more about the operations side of our business. By working under skilled project manager’s and onsite personnel he has gained knowledge on how varying aspects of a project come together to make it a success.  Project Engineer, Shane Gray, had the opportunity to work through the process of winning work first hand and is now seeing the project implemented in the field.